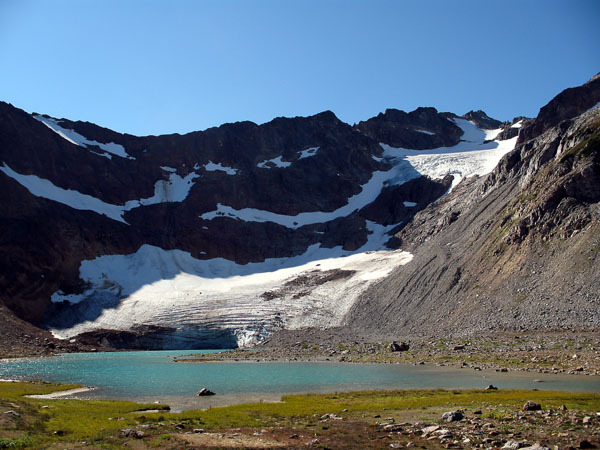 The Lyman Glacier has retreated a total of 1380 m since 1890 or 1900. The rate varied from 8 to 21 m per year for various decades up to 1958. It retreated at a rate of 10 m per year 1958-1986 and 11 m per year again from 1986 to 2008. The retreat since 1986 has been 223 meters, 415 meters since 1950, and 900 m since 1926. 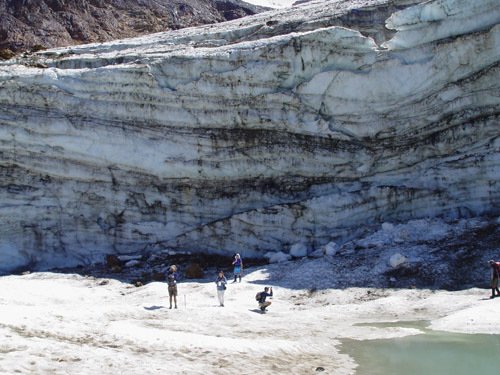 Given that the average glacier length is about 440 meters now. 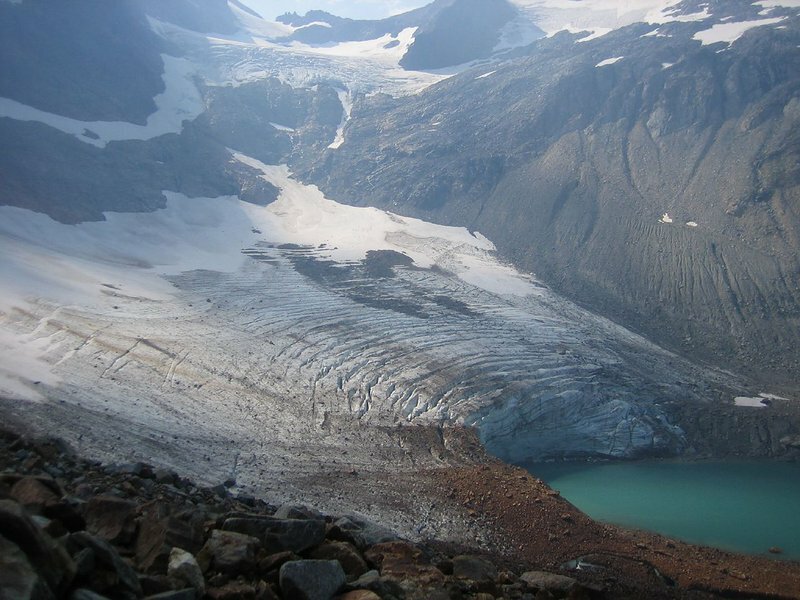 This means that 1/3 of the glacier has been lost since 1986. The glacier is still quite thick in the middle. 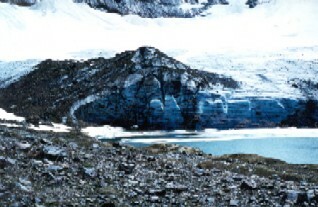 If we could see a 24 m ice cliff above the waterline, it is certain the glacier is at least 40 m thick at the terminus, and more than that behind the terminus, as the glacier slope is 20 degrees here but the slope of land exposed as the glacier retreats is small indeed less than 5 degrees. 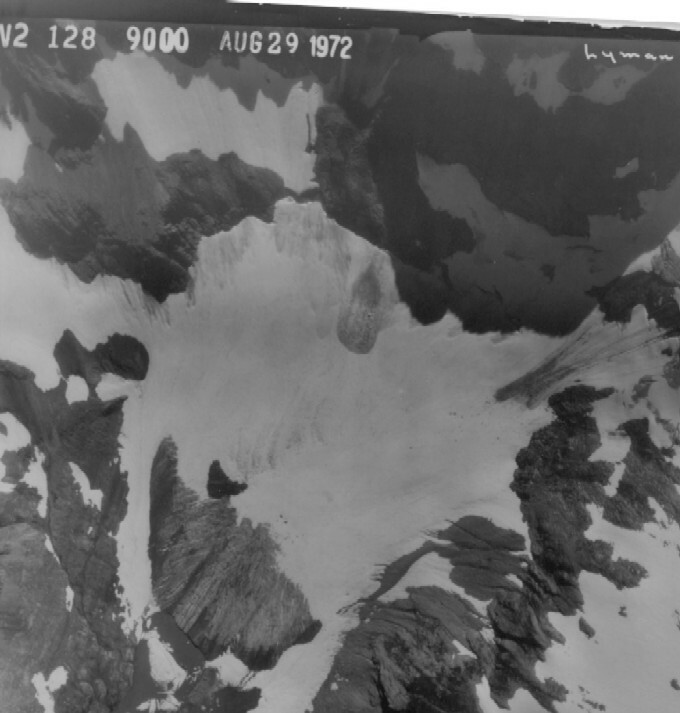 The current glacier length is 390 m on the eastern margin and 470 m on the western margin. 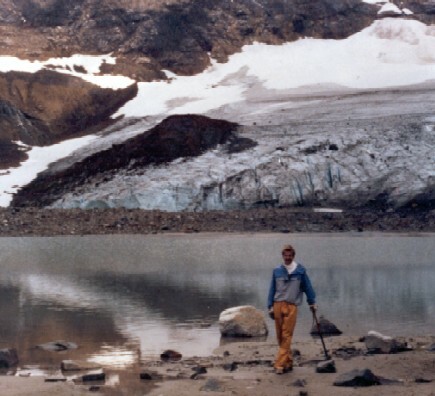 The continued retreat at the 50 year retreat rate would eliminate the glacier in 35-50 years. 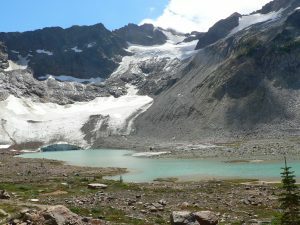 The glacier is still quite thick and should slow its retreat once the bedrock slope begins to increase, and the minor lake calving ceases. 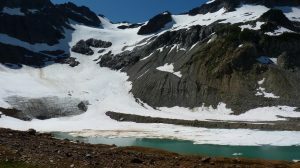 However, the glacier continues to have negative mass balances even this year in a year in which snowpack was good and all other North Cascade glaciers observed had a positive mass balance. 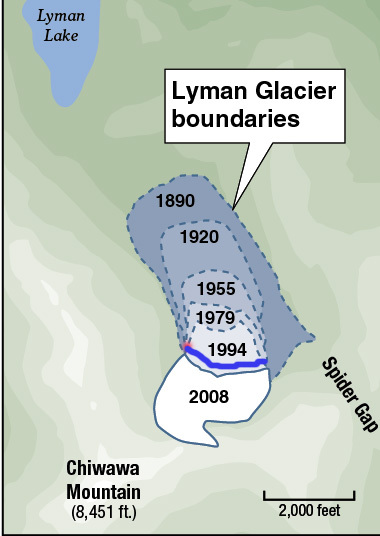 Map illustrating changes in Lyman Glacier in last 118 years. 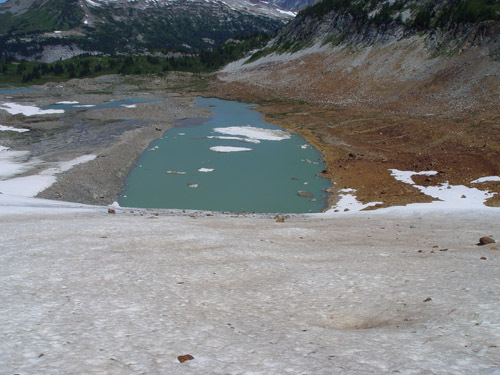 View down the glacier in 2008 to the 1890 position where the significant vegetation trimline exists. 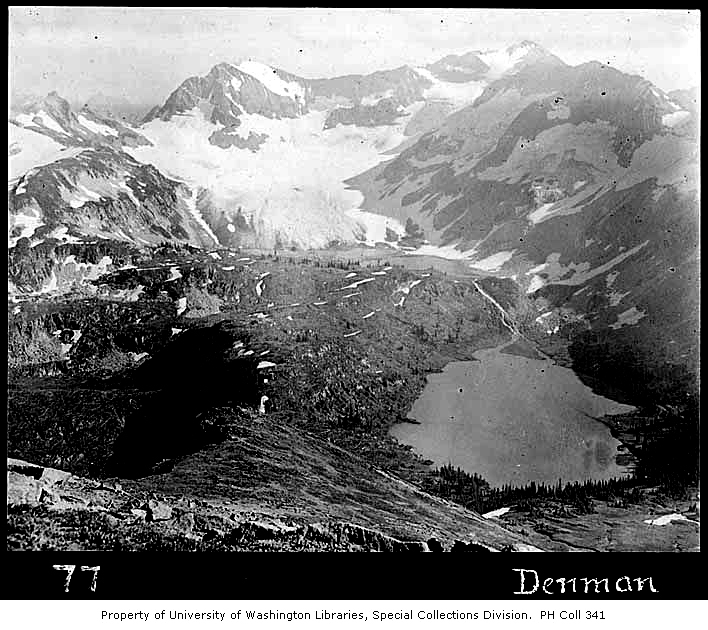 2005 View of Lyman Glacier from same vantage as below. 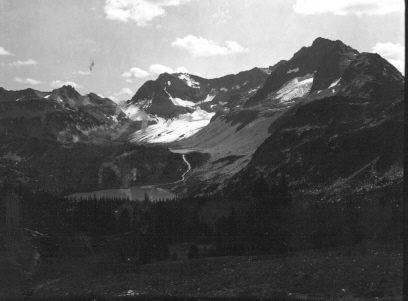 Lyman Glacier in 1972 (USGS), minimal lake in front of glacier and now calving face. Notice debris pile at the snowline. 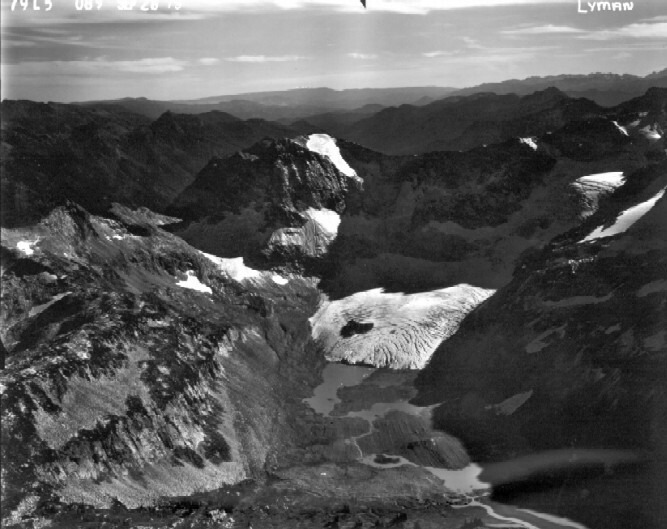 Lyman Glacier in 2000 calving front now 17 m high debris pile largely removed from glacier surface. 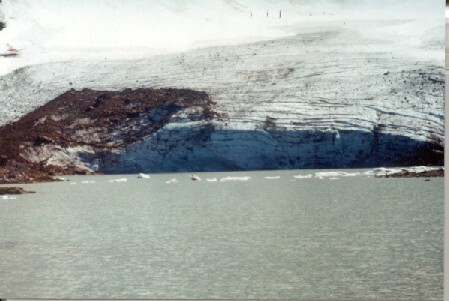 Lyman Glacier in 1986. 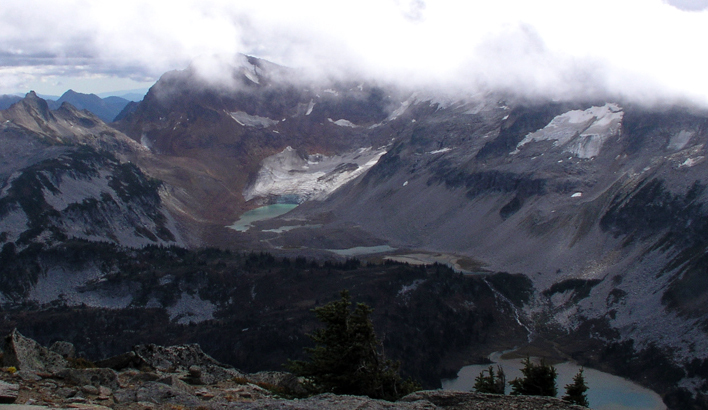 Debris pile from 1930’s avalanche just reaching front, calving front at terminus narrow and only 5 meters high.